A fun day had by both Campbell and I; Wipeout x 2 Cyclone x 1 Claw x 3 Reptar x 1 TOT x 2 Giant Drop x 4 Eureka x 1 Thunder River x 1 Rocky Hollow x 1 Kudos to Tony on a good job on GD this morning. I always seem to forget the names of the ride ops so I can't remember exactly who but the ops on Wipeout were doing a great job. I was going to post the photos but the data cable is up at my dad's so maybe tommorow. Thunder River Rapids is just so much better now with the new theming, I didn't realise so much had been done. No more random dinosaurs and jungle animals The Drop was doing alot better then usual and I was glad when I saw both sides working. 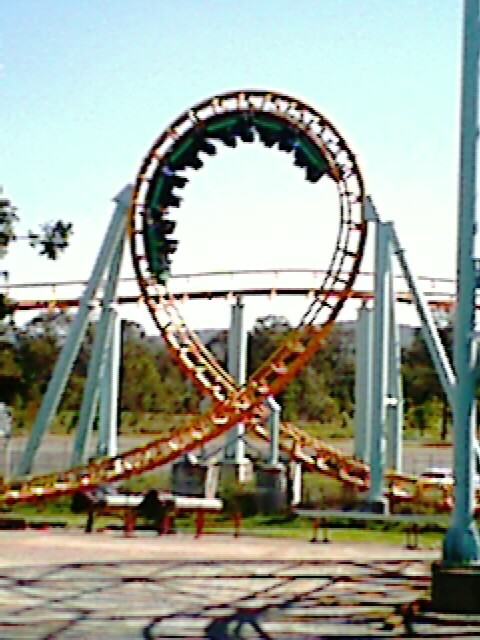 Cyclone wasn't worth a second glance; the ride is just falling apart. Wipeout seemed much more fun than usual for some reason, the Claw was great as always and Rocky Hollow got us drenched. We also got a look at wiggles world which turned out to be much better than what I had seen from the photos. Not much else apart from that, except that I never really noticed how much the noise from TOT disrupts the park. Pitty they can't make it quieter. Just out of curiosity scott, what exactly are you referring to when you say the Cyclone is falling apart. I know its a boring ride and the themeing is lame, but what are you referring to? Well mainly the fact that we couldn't really enjoy the ride because it was so rough. If a 20 or so year old arrow at Seaworld can be smooth as glass and another at Dreamworld which is much younger can be so rough then it's obviously a question of park maintenance not the rides maker. Also yes the theming was rather crap and we waited about an hour, which was bad even for the holidays. If the same upgrade that was done for TRR can be done for Cyclone, except on a larger scale then I think it will be time to concentrate on the new ride. Here are my photos from the day..... Sorry about the quality of the photos but my phone doesn't have a great camera and it's very dependant on the light. As you can see the Cyclone queue was about average for the holidays but it still took us an hour to get onto the ride. Edited September 18, 2005 by D.C.
Are the fountains on Wipeout working again, or not? We didn't see the fountains on once when we were there which was a shame as they do make the ride look better. I'd also like to see the water coming off the crest of the wave again too. Eureka is a decent ride and I'd say it's the best part of Gold Rush Country if it weren't for the recent upgrade of TRR. If only the same amount of work could go into every other ride. Some parts of Eureka are excellent, my favourite part would have to be mid-way through the ride when it's pitch black. At the start of the ride near the lift hill the wall on the right was gone partially and we could see through which made the whole thing a bit shoddy. Do we know why the pumps and pipes were disconnected? I also think Eureka is alittle rough, But who cares i love the ride. I love the themeing to the ride so much! I made my way to Dreamworld again today and the queue's were a joke, my first ride on the Claw was with a completely full queue line, something I've never seen before. 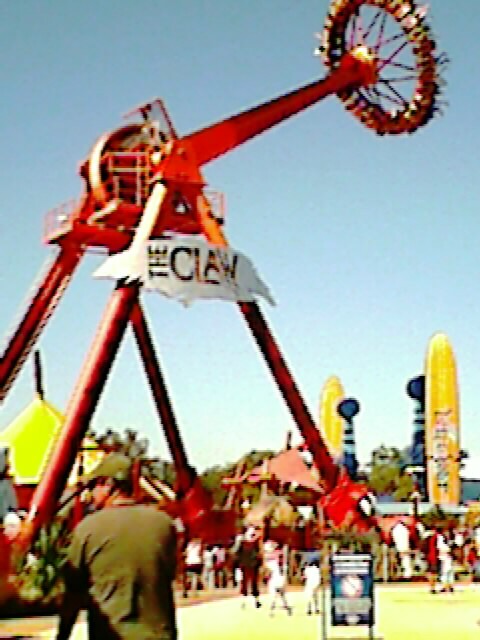 I did manage to get 6 rides on Giant Drop though which was good. TOT seems to be getting pretty tame and on my ride it reached 156 rather than a 157 k's as usual. There was a fair bit of puke out the front of the ride too, not pleasant. 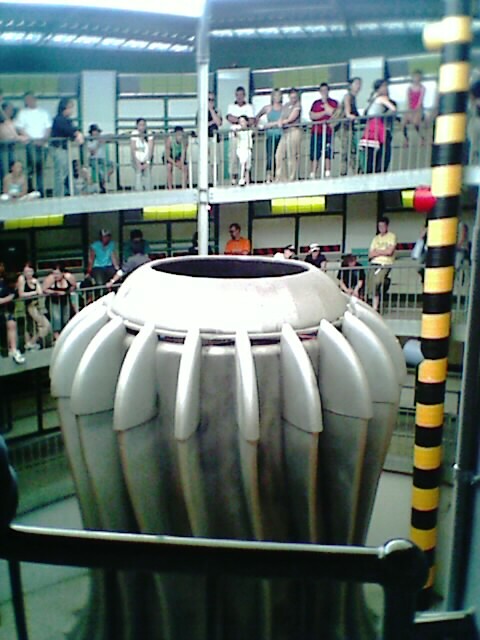 The Water from the wave, was turned of as i recall, because the wind would blow off spray onto the ride and stairs causing alot of rust. The wave has been turned off for years, we didnt have water restrictions back when it departed. 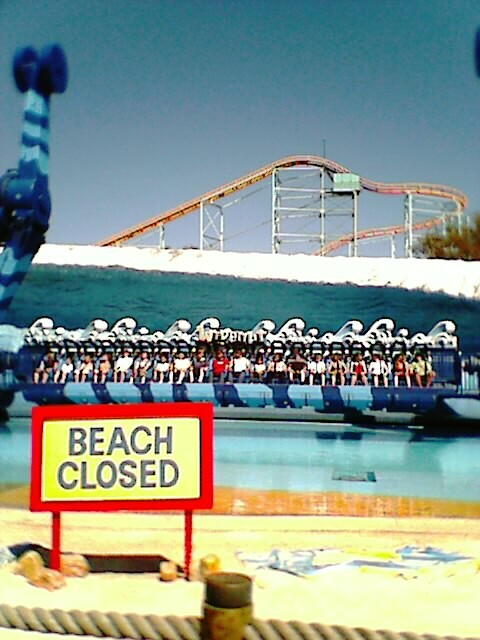 And when the wave was turned off, they also stopped the waters jets, hich it did originally open with 4. the jets we have now are from when they did extreme world back in the day:) I miss extreme world, it was the only time u got to ride wipeouts differnt cycles. Extreme world ran for two september holidays in a row, ad both years had a differnt cycle. After miday! Are the water jets only turned on at particular times of day or at the turn of the hour or something because the last time I was at Dreamworld it was the first time I had ever seen them operating (and made the ride look so much better) and this was just on midday, but by the time I got onto the ride they had stopped and I didn't see them going again (I was so dissapointed, I wanted to get wet). Everyone's planning their trips for December. I would but as I only just bought my DW pass I can't really buy my MW pass just yet- being a paperboy means a rather limited income But I will be buying my pass sometime in early october when I get a bit more money.